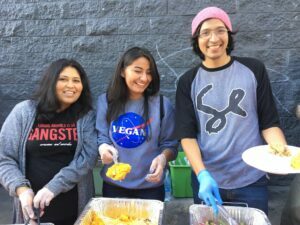 Activists Volunteer on Skid Row for ThanksLIVING! Some of the amazing activist volunteers that sacrificed sleeping in to serve those in need! 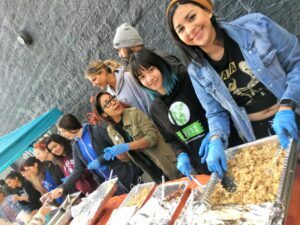 #JaneUnChained #LIVE in Downtown Los Angeles for the Vegan ThanksLIVING feast for the homeless and people in need of a healthy warm meal and care kit, filled with the essentials, including a warm blanket. 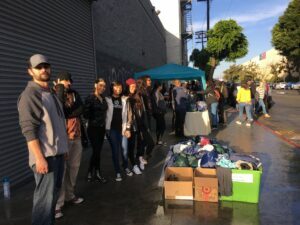 This was an incredible act of compassion organized by Amber Rose Martinez (@mamachingonavegana), Lee (369lovegan) and Alex Bracamontes of the Conscience Alignment clothing brand. 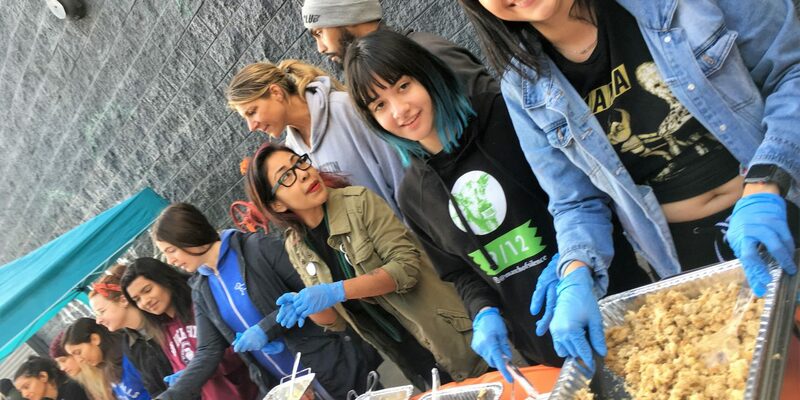 They collected donations from mega companies from around the city, including Compton Vegan, One Veg World, Plant Power Fast Food of Redlands, Cinnaholic Los Angeles, Lotus Vegan Thai Restaurant, Animal Alliance Network, and Starbucks to name a few, fill up this celebration! 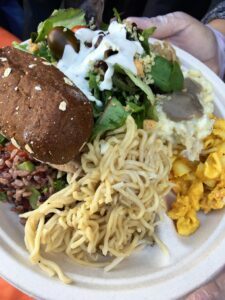 There were plates stacked up with delicious vegan food for anyone who needed one! 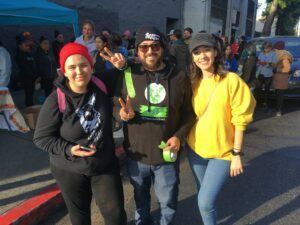 Many activists showed their support by serving food, care kits and kindness. Genesis Butler, who just launched her non-profit Genesis For Animals- A Vegan Child’s Journey. Genesis Butler, returned recently from VegFest Oahu and she was present to lend a hand. There were over 50 caring volunteers that showed up in the area bright and early in the morning. 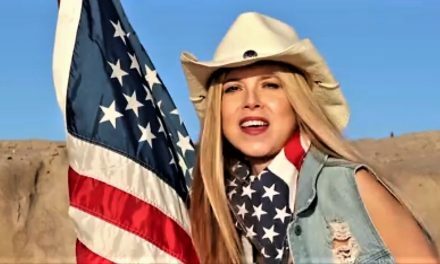 Amber and Alex explain that it is their duty to other human beings to give back. 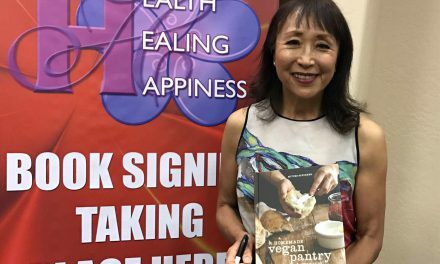 Many times people believe that the vegan community is only about advocating and helping non-human animals, but that is simply not true. 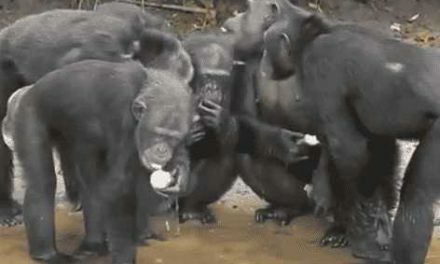 This is a community of love for all beings and they empathize with the plight of their fellow man as well. This was an amazing group effort by the community to show love and compassion to those who may be less fortunate than themselves. These activist volunteers were all smiles as they served their community! This event plans to go nationwide, and they plan to serve communities on a monthly basis. If you’re interested in getting involved, or starting a vegan food giving charity like this for those in need, leave a comment below or contact @veganthanksliving on Instagram. They will be happy to help you help others in this community and beyond! 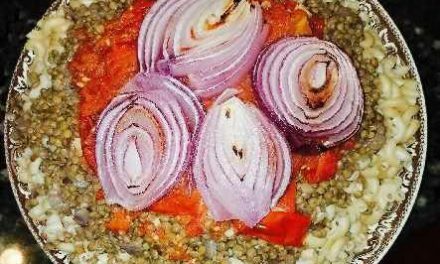 Happy Vegan ThanksLIVING to all! Please remember those who are less fortunate than you are all year round. Follow Vegan ThanksLIVING on Instagram! Article written by Paige Parsons Roache. Amber, Cesar, and Alex all helped to organize this incredibly inspirational holiday gesture. 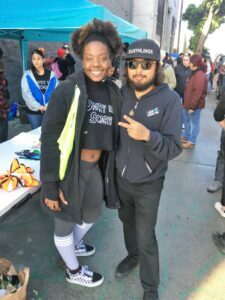 @369lovegan poses with Aery Briggs as they spread love to the community. 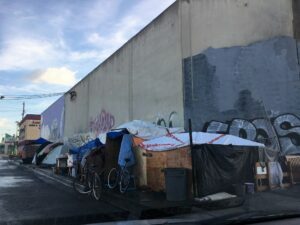 Activists came out in full force to line the streets and help out those in need. 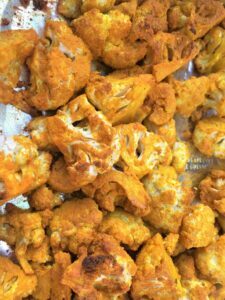 This cauliflower looks unbelievably good! 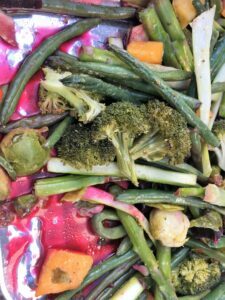 There were plenty of delicious vegetables to nourish the community’s bodies and souls. 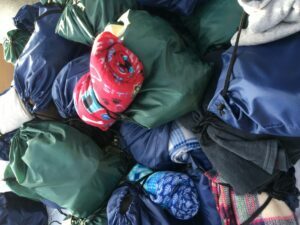 Blankets and bags full of necessities were handed out to those in need. 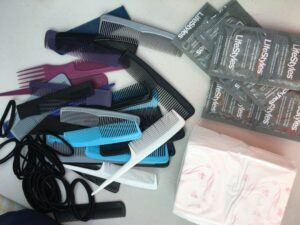 Hygiene necessities were also packed in the warm bag care kits. PreviousMushroom Stroganoff with the Veggielitas! NextMena Suvari Leads Anti-Fur March in Beverly Hills!